Use thedatabank Advocacy to track votes and display them on your site. 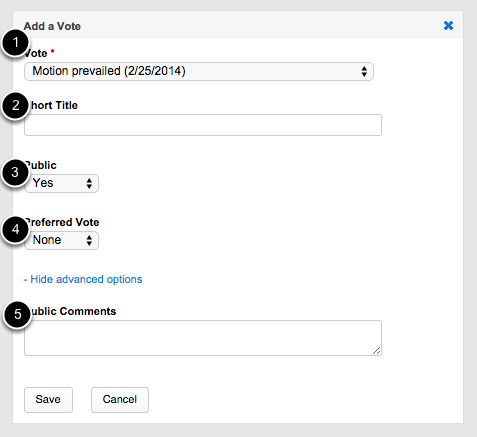 State votes are listed only when the state is selected in the pull down menu, same for federal votes. 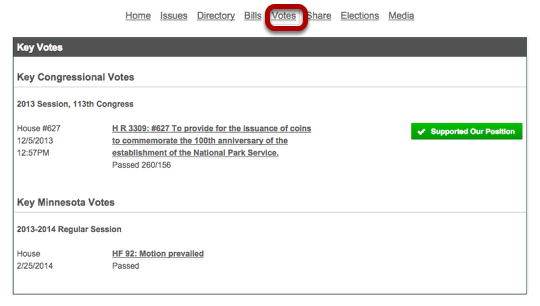 Federal votes automatically are listed at the tob of your Votes tab, state votes are below.